WEST CHESTER – Friends Association for the Care & Protection of Children announced Jennifer Lopez as its new Executive Director, Friday. As Executive Director, Lopez will be responsible for managing the organization and providing strategic planning to enhance the agency’s mission of ending homelessness in Chester County. Lopez most recently served as Chester County’s Deputy Chief of Adult Probation & Pretrial Services, and will begin her new role on January 21, 2019. “We are thrilled to have Jennifer on board, and we are confident that she will bring a fresh perspective to the organization while continuing the high quality of service that Friends Association provides to families facing homelessness in Chester County,” said Brian Boreman, Friends Association Board President. “Jennifer was selected after a comprehensive and exhaustive search to find an Executive Director who could take Friends Association to the next level as the breadth of our outreach grows, “said Boreman. “I look forward to leading the organization in January. As a big picture thinker with executive management skills and direct social service experience I will promote the mission and vision of Friends Association,” says Lopez. Lopez’s leadership is driven by first-hand experience working with families in transition with varying needs and a passion to empower diverse communities. “Her familiarity with local organizations and varying levels of government agencies brings with it a deep understanding of partnerships, systems, process and gaps. 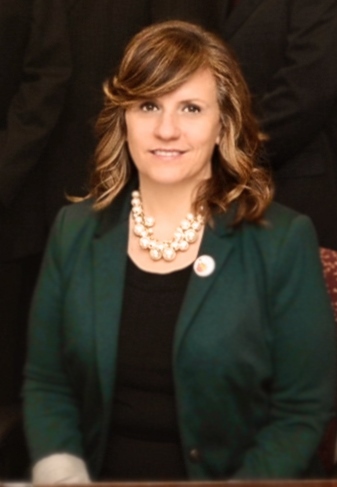 She is a visionary leader, motivated to increase family stabilization and strengthen communities,” added Boreman. Last year Friends Association prevented homelessness for 122 families and 270 children in Chester County.